Home › Resources › Articles › Has Your Faith Been Tested? There are many misconceptions about faith these days. Some think of it as a commodity, saying ‘I wish I had your faith.’ Others think of it simply as the means of salvation, to deliver us from hell. Much of the evangelistic preaching in recent years has been directed in that way. ‘Believe and on the Lord Jesus Christ, and thou shalt be saved’ they say, then a decision is made and it is as if there were no further implications for an ongoing life of obedience. Many are under the impression that their exercise of faith frees them from the law; ‘Once saved, always saved’ after all. Such faith is superficial. Is this the faith that is so highly extolled in Hebrews 11? In that eulogy on faith, Abraham is given the chief place. He is more fully portrayed that anyone else in the gallery as the father of the faithful. Reference is made to him some ninety times in the New Testament. He is the pattern that we are to follow. The Divine Initiative: Abraham is a shining example of the divine initiative. At the time of his call he was living in the Ur of The Chaldees, ‘worshiping other gods’ (Joshua 24:2), and in pagan darkness. He had no thought of the true God. Suddenly, as we are told in Acts 7:2, by the martyr Stephen, ‘the God of glory appeared to our father Abraham when he was in Mesapotamia’. He is described as ‘the God of glory’ because his glory is his self-manifestation. What kind of reaction this must have produced in Abraham’s mind! It was like the revelation that Isaiah had in the temple, a sovereign revelation and call, and he was given grace to respond to it. So it is for everyone that is ‘born of the Spirit’. Absolute Obedience: ‘By faith Abraham, when he was called… obeyed’ (Hebrews 11:8). It was an efficacious call. He had not fulfilled the purpose of his creation, to glorify God. He had rather dethroned the living God and set up idols of his own imagination. God’s call was to bring Abraham back to allegiance to himself and there must be an immediate and unqualified response. He had to come out from among the pagan worshipers and make God his own God and his inheritance. The Word of God became everything to him and he did nothing that was not by the command of God. As Thomas Manton observes: ‘Faith is the life of our lives, the soul that animates the whole body of obedience’. Separation to God: Abraham’s entire perspective changed. He was living for the things of this life and the riches and honours of it but he began to live life in terms of his final destiny. He was set free from the desire to make this world his home. He was set free from the desire to make this world his home because God promised him an inheritance. This inheritance was a ‘better country’ and ‘a city which has foundations whose builder and maker is God’. It is the fatherland or the homeland where God dwells. He has prepared it for people and he is their ultimate inheritance. 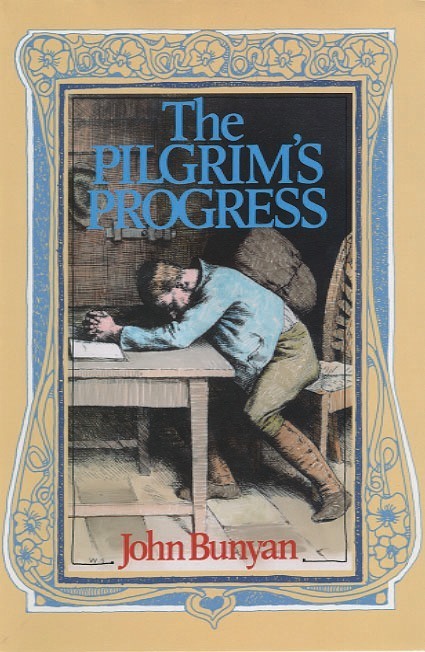 The whole plan is beautifully portrayed in Bunyan’s Pilgrim’s Progress, where we see Christian fleeing from the City of Destruction and journeying on to the Celestial City. The second characteristic of true faith is trusting in the promises of God. The writer is still talking about the faith of Abraham but now he brings in Sarah. Both had to be committed to the promise because it pertained to their offspring. ‘Through faith also Sarah herself received strength to conceive seed’ (v11). It seemed an impossible situation; Abraham was 100 years old and Sarah was 90. She was well past the age of child bearing. When frst hearing the news of an heir, unbelief had a temporary hold and her faith wavered: ‘Sarah laughed within herself’ (Genesis 18:12). ‘And the Lord said unto Abraham, “Wherefore did Sarah laugh, saying, ‘Shall of a surety bear a child, which I am old?’ Is anything too hard for the Lord?”‘ (Genesis 18:13-14). What brought about the change? She stopped looking at the problem and started looking to the Lord, ‘because she judged him faithful who had promised’ (v11). She took her mind off of the problem to the Promiser. He became the object of her faith. ‘True faith’, says Sinclair Ferguson, ‘takes its character and quality from its object and not from itself’. Is anything too hard for the Lord? He created the world out of nothing (Hebrews 11:3). He promised and he will bring it to pass. Abraham and Sarah had a child. The third characteristic of true faith is that it is tested: ‘By faith Abraham, when he was tried, offered up Isaac’ (11:7). There is a Jewish tradition that Abraham was tested on ten different occasions. If so, certainly this must have been the most painful. The commandment forbade the taking of life and Isaac was the best gift God had given to him. In Isaac, the promise was to be fulfilled and yet he was to be taken away. Does providence run contrary to the promise? But Abraham believed that the God who had promised was able to raise him even from the dead. He did, in effect, offer him in will, heart, and affection. God accepted the will for the deed, ‘for now I know that thou fearest God, seeing thou hast not withheld thy son, thine only son from me’ (Genesis 22:13) and ‘from hence also he received him in a figure’ (v19). As Christians we should not be afraid of trials and troubles. Indeed, an undisturbed life is great cause for concern. James begins his epistle with these words: ‘My brethren, count it all joy when ye fall into divers temptations (trials) (James 1:2). It is the great common experience of the Redeemer and the redeemed, There is a purpose in it, ‘Knowing this that the trying of your faith works patience. But let patience have her perfect work, that ye may be perfect and entire, wanting nothing’ (v3-4). Trials and tribulations blow away the chaff and produce endurance in a life of undivided obedience. Peter, in his first epistle, speaks of rejoicing in our great salvation, and then he brings in a caution, ‘though now for a season, if need be, ye are in heaviness through manifold temptations: that the trial of your faith, being much more precious than of gold that perisheth, though it be tried with fire, might be found unto praise and honour and glory at the appearing of Jesus Christ’ (1 Peter 1:6-7). The genuine element in the faith is proved by a process similar to that of refining and is found to be more valuable than the precious metals. The result is what meets the approval of God and redounds to his glory. Many passages of Scripture warn us of the dangers of a temporary faith and a faith that fails. The faith of the Hebrew Christians was wavering: ‘Cast not away your confidence’ (Hebrews 10:35). The writer then goes on to say, ‘we are not of them that draw back’ (v39), after which he immediately introduces us to the gallery of faith, of whom it is said ‘these all died in faith’ (Hebrews 11:13). Faith dominated their lives while trials abounded. As John Calvin says, ‘their achieving such triumphs with limited resources ought to put us to shame.’ Luther puts it his own way: ‘When Abraham shall rise again at the last day, then he shall chide us for our unbelief, and will say: “I had not the hundredth part of the promises which ye have, and yet I believed.”‘ (Tabletalk, 2009, p233). The ‘cloud of witnesses’ are there to stir us up to endure unto the end (Hebrews 12:1-4). This faith, as Luther maintained, is an operative grace, it is an overcoming grace, and ultimately, it is a victorious grace. God grant that it may be ours!